Peejay Sock Moneky includes: 2 socks, buttons, cotton floss, felt flannel, (could differ) pom-pom, embroidery needle and directions in English French and Spanish. Recommended for young kids 9 years and older. Needs fiberfill (sold seperately) for stuffing. 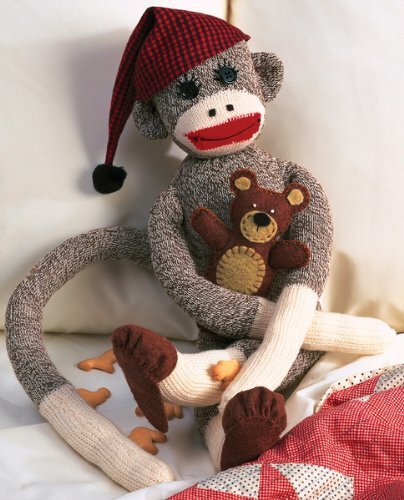 This 21"Sock Monkey Kit also comes with adoption papers for Peejay. Make Peejay yourself with easy-to-follow instructions! Product Dim. : Height: 21" Length: 7" Depth: 4"
Package: Height: 6.1" Length: 7.6" Width: 6.6"